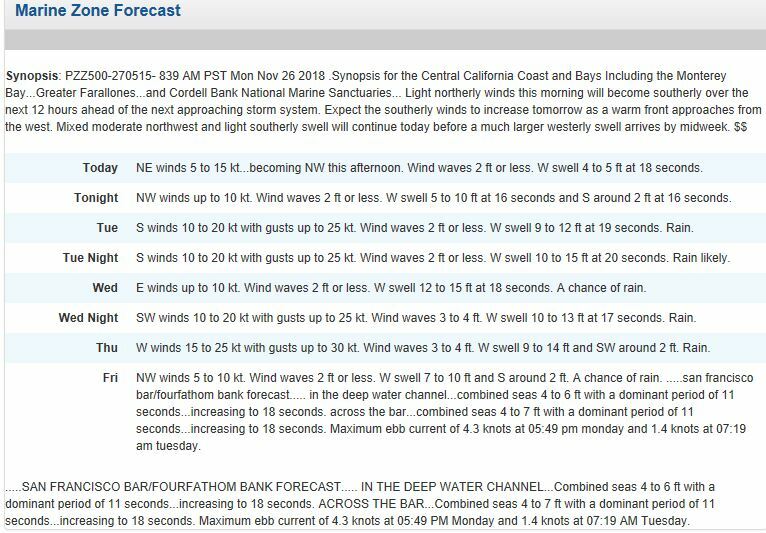 synopsis: PZZ500-270515- 839 AM PST Mon Nov 26 2018 .Synopsis for the Central California Coast and Bays Including the Monterey Bay...Greater Farallones...and Cordell Bank National Marine Sanctuaries... Light northerly winds this morning will become southerly over the next 12 hours ahead of the next approaching storm system. Expect the southerly winds to increase tomorrow as a warm front approaches from the west. 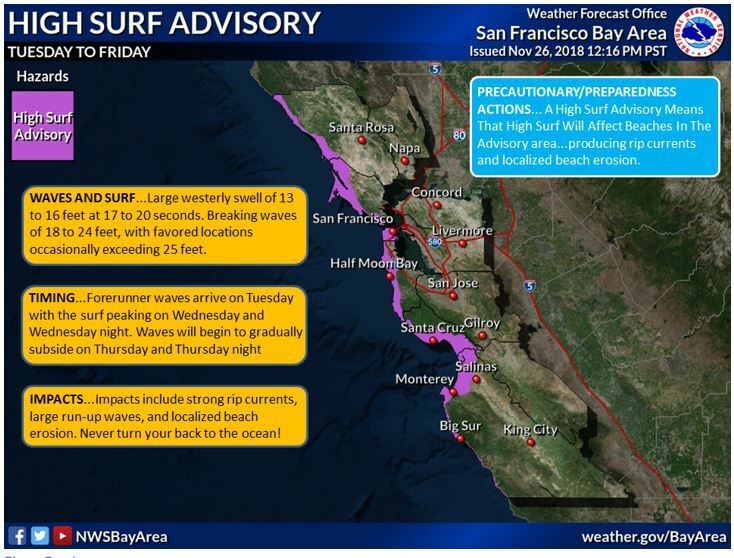 Mixed moderate northwest and light southerly swell will continue today before a much larger westerly swell arrives by midweek.